Ready for takeoff. 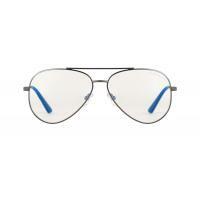 The Maverick computer eye strain glasses bring the most classic frame style into the digital age. The design features a stainless steel material and spring hinges to provide a comfortable fit and enhanced viewing experience.